So you just joined Uber. Now you have a little extra cash, and you’re the one picking up the tab at dinner when you go out with friends and family. There couldn’t possibly be a downside to earning this additional income, right? Well, while there isn’t necessarily a drawback to having more money in your pocket, there are a few factors to being an Uber driver that you should consider from a tax standpoint. Here are some common questions and tax tips that first time Uber drivers should think about before getting started. What is the difference between a 1099 earner versus a W2 earner? If you have taxes being deducted out of every paycheck, you are most likely a W2 earner. At the end of the year, a W2 earner will receive a form that will state their annual wages along with a breakdown of the taxes that were withheld throughout the year. A 1099 earner, however, does not have any taxes withheld from their income. The total amount of pay you received from Uber (or any other person or entity for whom you were a 1099 earner) during the year will be reported on a 1099 form. It is the responsibility of the 1099 earner to either make estimated tax payments (more on this below) or pay any balance in full at the end of the tax year. What are estimated tax payments and can they help me avoid owing at the end of the year? Estimated tax payments, or ETPs, are based on the amount of income that you expect to have earned in the current tax year. ETPs are usually made if a taxpayer believes that they will have a tax balance at the end of the year. A taxpayer may also wish to make ETPs if they are not withholding enough taxes from their paycheck, or if taxes are not being deducted from their income at all. A 1099 earner (or even a W2 earner who does not have enough withholdings listed) has the choice to pay their estimated tax payments bi-weekly, monthly or even quarterly. ETPs must be made in order to avoid owing at the end of the year, and it is even possible to receive a penalty if ETPs are not being made. The IRS allows you to make your estimated tax payments by either mailing a payment in, paying over the phone, or even paying online. What are tax write-offs and how do I keep track of all my business expenses? Being that you are a 1099 earner for Uber, it’s a little like running your own business. And just like if you were running your own business, you must document and report any income you have received and expenses you have made. Many of these expenses are tax write-offs. Some expenses that you may experience as an Uber driver include car maintenance, gas, and mileage. You will need to keep proof of your expenses throughout the tax year in order to write them off with the IRS. In order to do this accurately, you will need to keep track of how much of your mileage is used for business and how much is used for your personal life. There are multiple downloadable apps on the market designed to keep track of this for you. If you forgot to do this, don’t worry – you can request this information directly from Uber. Once you know what percentage of your mileage is used for business, you can calculate what percentage of your gas and maintenance can be listed as a tax write-off. Don’t forget to save those receipts; you will need them in case you are ever audited by the IRS! Whether you’re using Uber to pay the bills or to give you a little extra income on the side, paying your taxes doesn’t have to be scary. Following the steps above and stashing away a little bit of your income can help ensure you don’t get blindsided come tax season. Now get out there and have some fun with your extra cash and remember, drive safe! During the 2015 income tax filing season, increased compliance requirements combined with budget cuts to produce one of the worst tax seasons in history, at least for taxpayers who sought assistance from the IRS. More than 137 million tax returns were filed, with more than 83 million taxpayers contacting the IRS toll-free customer service line at least once seeking assistance. Out of the 80 million-plus calls initiated, a miserable 37.6 percent were actually answered by an IRS agent, with remaining callers receiving what the IRS has named “courtesy” hang-ups after extended hold times. This figure is in sharp contrast to the more than 70 percent of taxpayer calls to the taxpayer toll-free IRS call center that were handled by an agent in 2014. 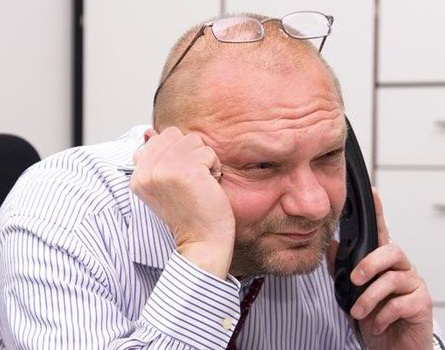 Wait times for all callers averaged more than 23 minutes. Taxpayers who sought in-person assistance at Taxpayer Assistance Centers also experienced lengthy waits; funding for TACs was cut by 4 percent in 2015. With no significant increases in funding assigned to the IRS in 2015, all indicators point to the availability of assistance by telephone being just as dreadful for the 2016 tax season. A number of factors are involved, many of which are repeats from earlier years. Several examples are outlined below. The Patient Protection and Affordable Care Act (ACA), also known as Obamacare, went into full effect for individual taxpayers in 2014. One of the most misunderstood provisions of the ACA is the individual mandate which requires a majority of individuals to purchase health insurance that fulfills federal guidelines – or face a penalty. Many individuals had the mistaken impression that the penalty was 96 dollars across the board, and only learned differently when they prepared their 2014 tax returns. For 2016, the penalty has increased dramatically, which will come as a surprise to still more taxpayers. Increased incentives related to the ACA almost undoubtedly mean that the number of returns filed will likely hold steady or even increase. More tax returns generates the knock-on effect of more taxpayer calls to the IRS – many of them going unanswered, just as they did in 2015. In addition, businesses with at the equivalent of 50 full-time employees will be required to provide health insurance to their workers. However, that requirement does not extend to part-time workers or to the families of full-time workers, which points to the likelihood of even more confusion for taxpayers preparing their 2015 federal tax returns. For the past several years, there has been suspense about whether particular tax provisions will be extended by Congress. The final determination often occurs right before the end of the year, which does not allow the IRS sufficient time to prepare its forms and instructions and have them ready by the customary January 1 opening date for tax season, resulting in delays in processing tax refunds. For instance, in 2014, Congress enacted last minute tax provisions on December 16, just two weeks before the end of the calendar year. 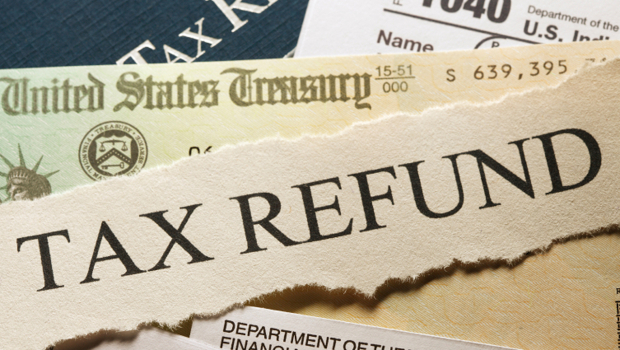 As a result, the IRS delayed the acceptance of the first tax return until January 20, 2015. Given the present divisiveness in Congress, it should come as no surprise that 2015 has proven to be no different than 2014. Although the Senate Finance Committee passed a set of 56 temporary tax breaks in July 2015, as of early December 2015 the full House and Senate had not taken action on the package. Expectations are that Congress will act on the provisions before they leave for the year, and as of this writing, there was no announcement of a delay for filing tax returns in 2016. However, depending on what Congress finally does or does not due, the possibility remains that a delay will occur for the beginning of the 2016 federal tax filing season, with subsequent delays in processing tax returns and issuing tax refunds. The IRS takes tax fraud very seriously. 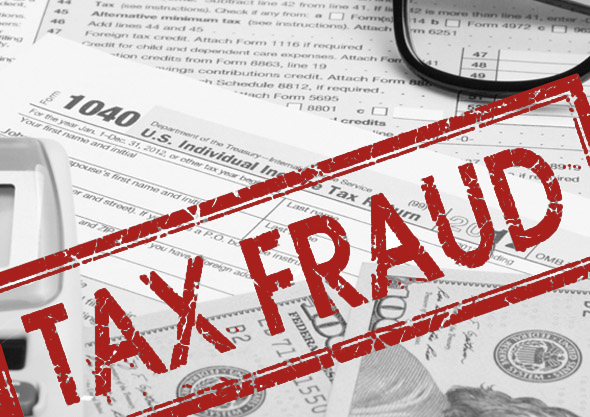 Nonetheless, in May 2015, the IRS reported that they had identified more than 163,000 fraudulent or potentially fraudulent tax returns, claiming more than 900 million dollars in refunds, with 787 million dollars in fraudulent refunds actually paid. In a related incident, the IRS reported in May 2015 that approximately 100,000 taxpayer accounts had been compromised through its online “Get Transcript” service. In response, the IRS suspended the ability to order transcripts online. Taxpayers can still order transcripts by mail, which the IRS states requires five to 10 calendar days for processing. To reduce future incidents of tax fraud and data breaches, the IRS has boosted filters and screening – which will likely translate to delays in processing income tax returns as well as issuing tax refund checks during the 2016 tax season. The Earned Income Tax Credit (EITC) provides workers with modest incomes with a refundable tax credit. It is also a popular target for attempted tax fraud. The IRS has created a due diligence checklist for the Earned Income Tax Credit that it stresses paid tax preparers to use. However, there will be additional efforts by the IRS to require individual taxpayers to use the checklist as well. This development is almost guaranteed to increase confusion among taxpayers, with the domino effect of delayed tax refunds. The IRS.gov website contains extensive information for individuals and business owners filing their own tax returns – or preparing documentation for paid tax preparers. News, informational articles and downloadable forms are readily available. Taxpayer related information is also available through the U.S. Treasury, Treasury Inspector General for Tax Administration and USA.gov websites. However, taxpayers with complex income tax returns – or anyone who has questions about completing their tax returns – can’t count on receiving assistance from the IRS for the upcoming tax filing season. One alternative is to turn to the professionals at Optima Tax Relief. In addition to answering tax inquiries, they can assist you with any issue or dispute you may have with your federal or state tax returns – without a 20 minute wait to speak with an agent. Every taxpayer knows about the existence of the IRS, but many people do not realize that the United States only began collecting income taxes from individuals in 1862. The following timeline documents the history and intriguing development of the collection arm of the Treasury department. 1867 – Facing stiff public opposition, Congress cuts the income tax rate. As a result, from 1868 until 1913, 90 percent of all national revenue came from taxes on liquor, beer, wine and tobacco. 1894 – The Wilson Tariff Act revived the income tax and created an income tax division within the Bureau of Internal Revenue. 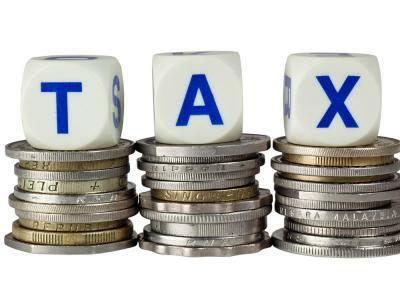 1895 – The new tax was ruled unconstitutional by the Supreme Court on the grounds that it was a direct tax, not apportioned among the states on the basis of population. As a result, the income tax division was disbanded. 1909 – President Taft requested Congress to propose a constitutional amendment giving the government power to tax incomes directly. Congress also levied a 1 percent tax on net corporate incomes of more than 5,000 dollars. 1913 – Under the looming threat of World War I, Wyoming became the crucial 36th state to ratify the 16th Amendment. 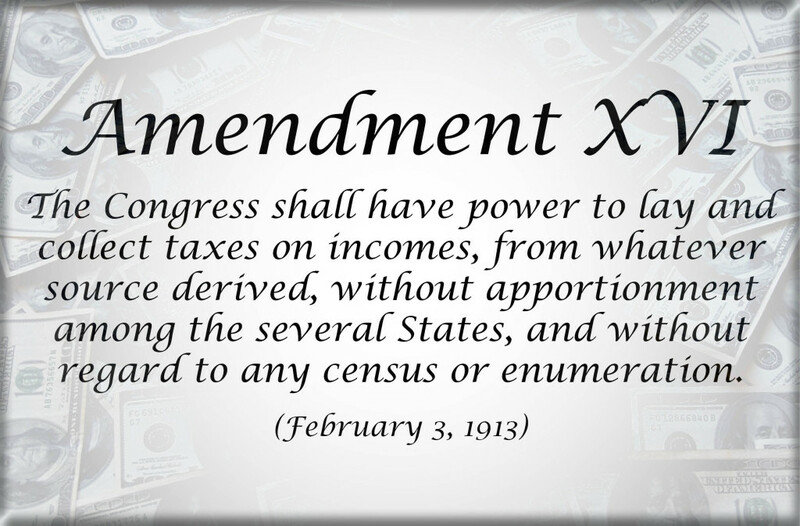 The amendment stated, “Congress shall have the power to lay and collect taxes on incomes, from whatever source derived, without apportionment among the several states, and without regard to any census or enumeration.” Later, Congress adopted a 1 percent tax on net personal income of more than 3,000 dollars with a surtax of 6 percent on incomes of more than 500,000 dollars. Congress also repealed the 1909 corporate income tax. 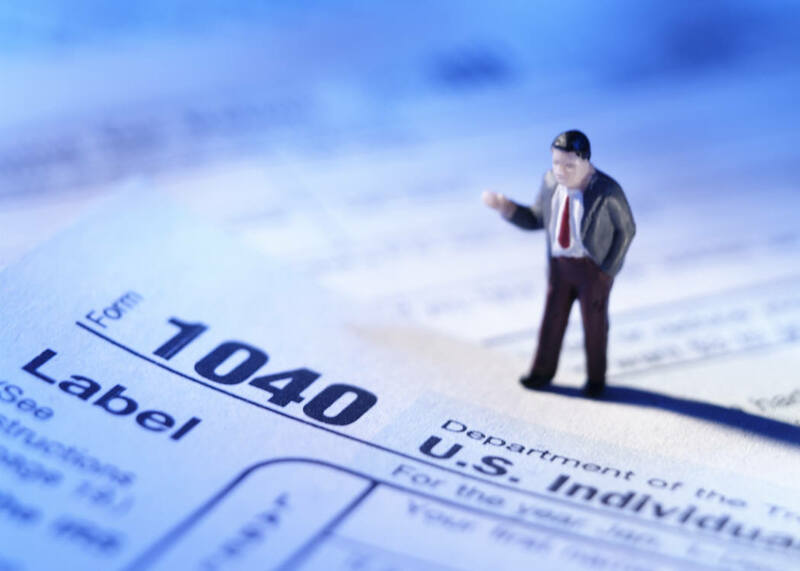 The first Form 1040 was introduced the same year. 1918 – The Revenue Act of 1918 raised more money to finance the World War I effort. The Act also codified all existing tax laws and imposed a progressive income tax structure, with rates up to 77 percent. 1919 – The 18th Amendment was ratified, barring the manufacture, sale or transport of intoxicating beverages. Congress also passed the Volstead Act, granting the Commissioner of Internal Revenue primary responsibility for enforcement of Prohibition. The Department of Justice assumed primary prohibition enforcement duties eleven years later. 1931 – An undercover agent employed by the IRS Intelligence Unit gathered evidence against gangster Al Capone. The evidence was used to convict Capone of tax evasion. He died in prison before serving out his 11 year sentence. 1933 – Prohibition repealed. IRS resumed responsibility for alcohol taxation the following year, along with administration of the National Firearms Act. Enforcement of the tobacco tax was added later. 1942 – The Revenue Act of 1942 which FDR hailed as “the greatest tax bill in American history,” passed Congress. The Act increased taxes along with the number of Americans required to pay income tax. The Act also created deductions for medical and investment expenses. 1944 – Congress passed the Individual Income Tax Act, creating standard deductions on Form 1040. 1952 – Reorganization Plan No. 1 proposed by President Truman. The Plan, designed to restore public confidence in the agency, replaced the patronage system at the IRS with a career civil service system and decentralized service to taxpayers. 1953 – Truman’s reorganization plan endorsed by President Eisenhower, who changed the name of the agency from the Bureau of Internal Revenue to the Internal Revenue Service. 1954 – Filing deadline for individual tax returns changed from March 15 to April 15. 1965 – First toll-free telephone number instituted for the IRS. 1972 – The division of Alcohol, Tobacco and Firearms separated from the IRS to become the independent Bureau of Alcohol, Tobacco and Firearms. 1974 – Congress passed the Employee Retirement and Income Security Act, assigning the IRS regulatory responsibilities for employee benefit plans. 1986 – First year for limited electronic filing. President Reagan signed the Tax Reform Act, containing 300 provisions and requiring three years to implement. As the most significant piece of tax legislation in 30 years, the Act codified federal tax laws for the third time since the Revenue Act of 1918. 1992 – Taxpayers owing money to the IRS were allowed to file returns electronically. 1998 – Congress passed the IRS Restructuring and Reform Act, expanding taxpayer rights reorganizing the agency into four operating divisions aligned to address taxpayer needs. 2000 – IRS ended its geographic-based structure and instituted four major operating divisions: Wage and Investment, Small Business/Self-Employed, Large and Mid-Size Business and Tax Exempt and Government Entities. This change represented the most sweeping adjustment to the IRS since 1953. 2003 – A second mid-year refund program, this time providing an advance payment of an increase in the Child Tax Credit was administered by the IRS. During this same year, electronic filing reached 52.9 million tax returns, representing more than 40 percent of all individual tax returns — a new high. If you are fortunate enough to win $1200 in a jackpot at a slot machine, $1500 from keno, $5000 from a poker tournament, or $600 or more from “other” gambling winnings, then the casino will record your Social Security Number and the amount of the win, and write it off as an expense. Casinos offer a win-loss statement for their slot players that itemizes coin-in and coin-out, but vary in their player-tracking policies for other types of play. The casino will give you a copy of the gambling win, on Form W-2G and send a copy to the IRS. The IRS will use this gross figure as increased ordinary income unless you can indicate losses against this win. Senior citizens beware: the amount indicated on line 21 of Form W-2G will potentially make more of your Social Security benefits taxable! The traditional place to declare gambling losses is on Schedule A under miscellaneous deductions, but there are problems with doing it this way. First, you must “qualify” to itemize deductions on Schedule A. For Schedule A to do you any good, your deductions must be greater than what you would receive as the standard deduction. Let us say that you are single, so your standard deduction for 2014 is $6,200. If your allowable itemized deductions total less than this amount, then filing a Schedule A won’t benefit you. However, if you have sufficient mortgage interest, real estate taxes or charitable contributions to justify itemizing your deductions, then declaring a $1200 loss on Schedule A will help to offset the $1200 win. If you don’t qualify for a Schedule A, or if you want to report less than what appears on line 21 of Form W-2G , then you have significantly more bookkeeping to do. All winnings, not just W-2G winnings, are reportable. 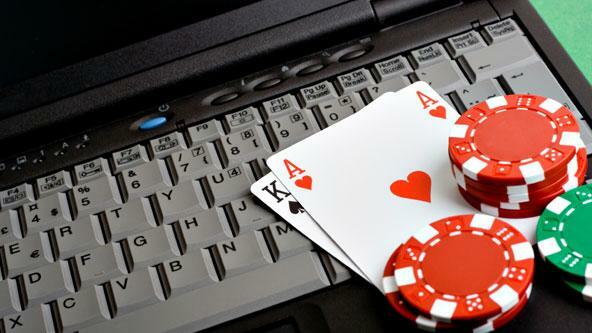 Therefore, you must maintain a day-to-day diary that itemizes ALL of your winnings and losses per session, not just amounts of $1200 and over. The diary, similar to a tip diary, must be credible. It’s a good idea to back it up with bank records, ATM slips, and casino win-loss statements. If you travel to gambling resorts once or twice a year, be prepared to keep a log of your winnings and losses per trip. As you arrive at your resort or hotel, make a dated note of your “buy in”, the amount of cash that you brought along to play with. When you check out of the hotel or resort, make a note of your “win” (or loss). This is considered the end of your gambling session. If you live in a gambling city such as Reno or Las Vegas, then there is technically no way to delineate a gambling session, since slot machines are available in supermarkets and convenience stores 24 hours a day, as well as in bars and restaurants. If you are reporting less than the amount of winnings reported on Forms W-2G, be prepared for an IRS letter or an audit, and have all of the records required for a day-to-day record of wins and losses. You should also be aware of various state laws that may vary from federal requirements. In such cases, it’s a smart strategy to have a tax professional assist you with the reportable figure. This option will require conforming to the situation in the court case Shollenberger v. Commissioner T.C. memo 2009-306, as referenced in The Tax Book, by Tax Materials , Inc.
Don’t expect casinos to proactively withhold any portion of your winnings for tax purposes unless state law requires it. Most state laws do not. Exceptions include foreign winners or other special circumstances. You can request that money be withheld from your winnings (perhaps based on your marginal tax rate or higher) at the time of the payoff. But you should not request withholding if your winnings come from the casino where you work. 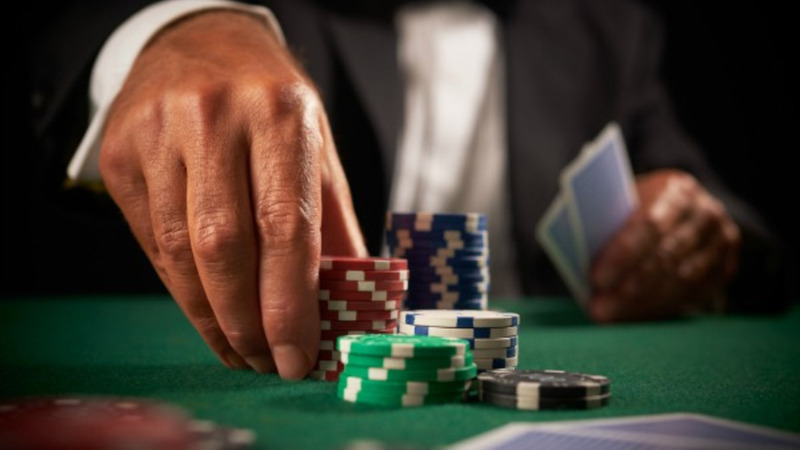 (Some states and casinos allow casino workers to gamble where they work; others do not.) However you go about doing so, having tax withholdings from gambling winnings can potentially save you hundreds or even thousands of dollars at tax time. As taxpayers are aware, charitable donations are deductible. Information concerning charitable giving has been provided directly from the Internal Revenue Service (IRS) and is included below. A full discussion of the rules for charitable contributions is contained in Publication 526, which is available on the IRS website. It’s a good idea to read this information before making year-end charitable deductions and prior to claiming deductions for charitable giving on your 2014 federal income tax return. It’s especially important to understand the rules concerning cash and non-cash donations, including calculating the value of your gift. For tax filers completing their own returns, it’s essential to read Publication 561 to learn how to determine valuation for non-cash gifts, preferably before you have made the gift. The IRS has provided several tips to making charitable donations. * Not all charities are created equal! Both qualified and unqualified charities exist. A list of qualified charities is available on the IRS website. The IRS cautions taxpayers that “sounding like” a viable charity does not qualify a charity. * You can deduct contributions to churches, synagogues, temples, mosques and government agencies even if they do not appear on the list of qualified charities. * Cash donations and gifts are those paid in cash, but also by check, fund transfer, payroll deduction and credit card. The bank record or letter from the recipient provides sufficient documentation to fulfill the IRS requirement for maintaining records for claiming charitable cash deductions on your federal income tax return. * Donations of household items (furniture, electronics, appliances, linens, window treatments, draperies, area rugs, etc) are deductible ONLY if they are in reasonably good shape. Non-cash donations valued at more than $500, must be verified with a qualified appraisal retained with your tax records. 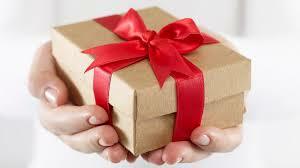 * Receiving charities should provide a thank-you letter for each contribution (money or property) of $250 or more. If the charity does not voluntarily supply such a letter, request one. * Donations of airplanes, boats and cars are subject to specific rules. Check the IRS website for details (www.irs.gov) and additional pertinent information. It’s unlikely that the IRS would challenge your return solely on the basis of charitable deductions totaling less than four figures. Nonetheless, following these tips will help to keep you on the right side of filing guidelines — regardless of the size(s) of your donation(s). If you cannot pay the full amount of taxes you owe, don’t panic. 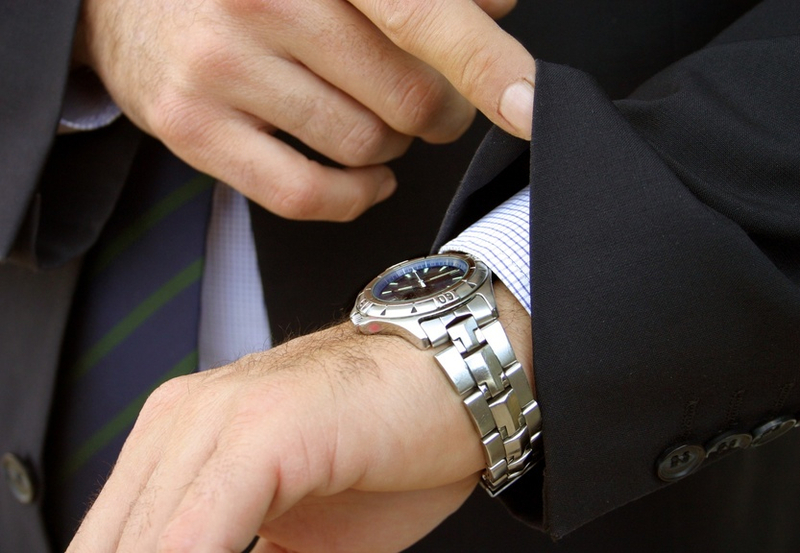 You should file your 2014 tax return on time and pay as much as possible. 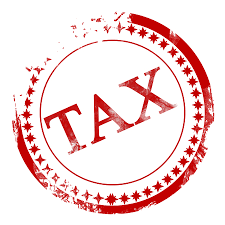 This will help reduce the penalties and interest that may result from a late tax payment. If you can’t afford to pay what you owe in full, there are available alternatives. A payment plan may be an option. You can request a short-term payment plan up to 120-days. There is no user fee for a short-payment plan. You can also request a longer term monthly payment agreement. A one-time $120 user fee applies to monthly payment plans; the fee is reduced to $52 if you make your payments by direct debit. Individual taxpayers who owe more than $50,000 and businesses that owe more than $25,000 are required to submit a financial statement with their request for a payment plan. An Offer in Compromise is an agreement between you and the IRS to settle your tax debt for less than the full amount you owe. The offer program provides eligible taxpayers with a path toward paying off their tax debt and getting a “fresh start.” Not everyone will qualify for an offer. Use the IRS Offer in Compromise Pre-Qualifier Tool to see if the Offer program is right for you. If you do not find an option that works for you, other alternatives, including a temporary suspension of IRS collection efforts, may be available. Contact the IRS immediately to discuss these other options. Regardless of which option you choose, it is important to know that the IRS has a minimum of 10 years to collect your taxes from the date they were assessed. Many people don’t know that there are ways this time period can be suspended. For example, by law, the time to collect may be suspended while the IRS is considering your request for an Installment Agreement or Offer in Compromise. If your request is rejected, they will suspend collection for another 30 days, as well as during any period the Appeals Office is considering your appeal request. If you live outside the U.S. continuously for at least 6 months collection will be suspended while you’re outside the country. Should you be in the middle of a bankruptcy, there is an automatic suspension for a time period because of the automatic stay plus 6 months. Also, if you request a Collection Due Process hearing, collection will be suspended from the date of your request until a Notice of Determination is issued or the Tax Court’s decision is final. So you’re newly married and looking for general tax info, but you’re not sure of how to start. Look no further. We’ve prepared a beginner’s guide for filing tax returns for married couples. Married couples are entitled to higher charitable contribution deductions. The Alternative Minimum Tax exemption for married couples filing separately is half the amount allowed for married couples filing jointly. Adoption credits and exclusions are usually not allowed. The capital loss deduction limit is $1,500 for married couples filing separately, versus $3,000 for married couples filing jointly. Married couples living in community property states must divide expenses for state taxes. Mandatory community property states are Arizona, California, Idaho, Louisiana, Nevada, Mexico, Texas, Washington, and Wisconsin. Alaska is an opt-in community property state. File separate returns by allocating income according to a schedule. Complete pro forma federal returns and use that information. 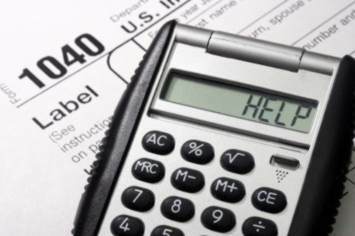 If you are unsure of what to do, test the waters by enlisting the aid of a tax professional. The tactic is called structuring and it is strictly illegal, and the the government has a powerful new weapon to prevent it. The law now allows the government to seize bank accounts merely on suspicion of wrongdoing — and frequent, small deposits arouse scrutiny. Family-owned businesses and even individuals saving for their children’s college education can be targeted. Making small bank deposits, even frequently, is perfectly legal. It is the attempt to skirt tax reporting requirements that is against the law. However, it is up to the individual to prove that he or she has done nothing wrong. A bank statement is all that is needed for banks to file suspicious activity reports. Last year banks filed more than 700,000 such reports. Fighting bank account seizure in the courts can require individuals to accrue legal costs of $20,000 or more. Many middle class individuals simply cannot afford that sum — and simply give up, even when they are totally innocent. Always make deposits of at least $10,000 so that the bank will have to file the necessary reporting paperwork with the IRS. By adhering to the law, you may be saving your business or your financial future. The IRS recently reported that it is scaling back on future seizures, focusing on cases where there seems to be a clear indication of illegal structuring rather than on ordinary individuals. Nonetheless, it’s better to play it safe. Avoiding even the appearance of structuring is well worth the increased taxes you pay on large bank deposits. 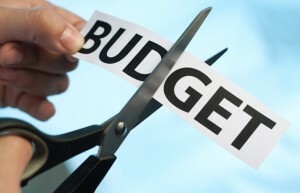 The budget cuts felt by the IRS could trickle down to taxpayers in the form of delayed tax returns, warn insiders and experts. According to IRS Commissioner John Koskinen, the IRS suffered budget cuts in excess of 300 million dollars this year, which has led to short staffing and difficulties when working through returns. As a result, taxpayers are likely to experience much longer wait times to speak with IRS customer service representatives. As the filing deadline draws closer, experts warn that longer and longer wait times will be the norm. There simply is not enough staff available to handle all of the calls that come in during prime tax season. In addition, taxpayers expecting refunds will also have to wait longer, especially if they file paper returns. Paper returns require manual review, and there are simply fewer employees available to handle such reviews. Experts anticipate the stack of returns will grow larger and larger as tax season progresses, leading to significant backlog. There are also serious concerns among experts concerning the quality of return processing by IRS workers. With fewer hands on deck, employees are more likely to experience burnout that could lead to errors or missed fraudulent returns resulting from identity theft or attempts at tax fraud or evasion. Electronic filing is much faster and more efficient than filing paper returns. And the majority of taxpayers qualify to e-file their federal returns for no charge. Utilizing the services of a professional accountant or tax attorney can reduce errors and help taxpayers avoid IRS inquiries for further information. The money spent to pay a professional to prepare your tax returns could be money well spent this year. 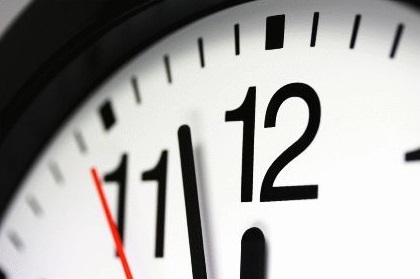 Complete your returns sooner rather than later if you’re expecting a refund. 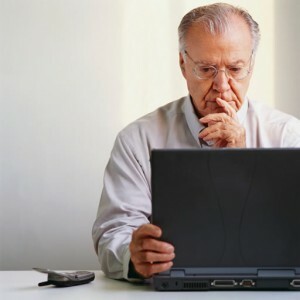 Waiting until the April 15 deadline increases the likelihood that your paperwork will be buried in the onslaught of returns filed during the IRS’ busiest season. The bottom line is simple: the IRS is short-staffed, and the general public must remain patient and work with the IRS as tax returns are generated and mailed or e-filed.